For BelBoli VanderWijk Consultancy developed a brand new online shop. 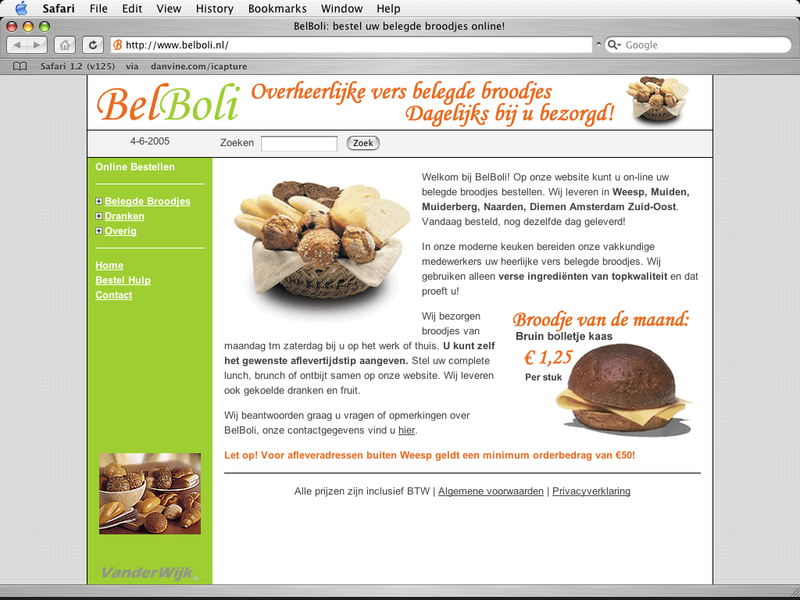 At www.belboli.nl companies and other customers can order freshly made breads for breakfast, brunch or lunch. We created a sophisticated, yet easy to use content management system for this website. This allows our customer to easily add new products and pages to the website.